Off the back of an insane Halloween Party, the team at Mavericks Cape Town have just launched their next big event. Come and travel back to the 80’s on Friday 30 November 2018! 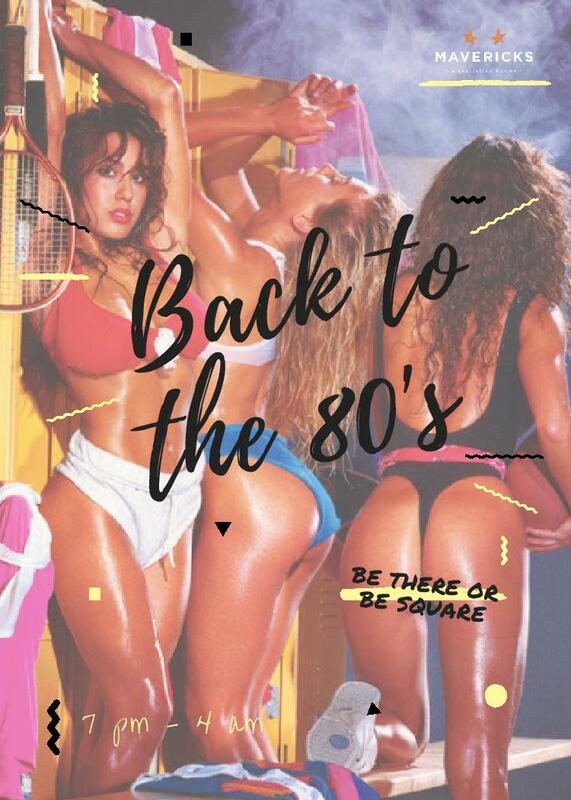 Imagine this: roller-skates, thongs, 80’s classics and a lot of neon – it will be a nostalgic experience, one to never forget. The perfect time to sit back, relax and enjoy an on-the-rocks, whilst watching the best ladies in town perform. And to go the full monty, come dressed as your favorite 80’s pop-star! Don’t want to miss out? Secure a spot, and book a table today. Let’s get groovy! Get all the details below, and, how you can WIN the ultimate Mavericks experience on the night for you and 3 friends. I am giving one lucky reader the chance to WIN entrance for themselves and 3 friends, a jug of cocktail to get the party started, and a table dance from one of the Mavericks hotties! Don’t say I am not a great wingman. Head over to my competition post and Facebook and follow the simple steps [CLICK HERE]. Follow @Mavericks_Revue and @MrCPT on Twitter. Tweet the following phrase below!